Google News – Sites which run intrusive interstitial ads will be downgraded in search results! What! I hear you cry! what is he on about? 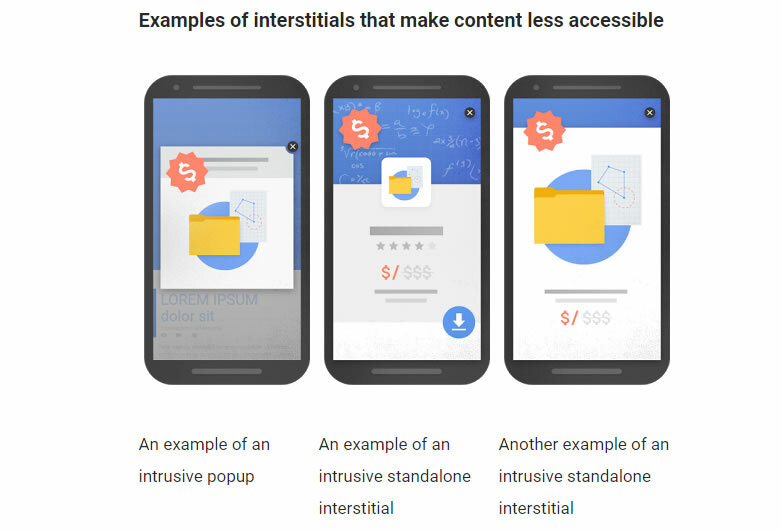 what are interstitial ads? 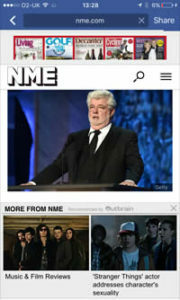 Well we’ve all seen them, you go on a website like NME.com and you start reading an article and you get pop-up ads. One from the top and ads from the bottom obscuring the content on the page. In the run up to Christmas as well there was also a full page overlay for the new Skepta album which basically obscured the whole page. You couldn’t see anything until you clicked the x top right which did not appear at all for a few seconds. These are the worst kind of intrusive interstitial ads and make viewing sites on mobiles an absolute pain. Now of course this was wrong and it was only a matter of time before Google did something about it. I frequent a shares site called Money am and as soon as their page opened on mobile a huge IG Index ad obscured all of the content. Now of course this is just the activity of over zealous PPC specialists paying for real estate on high volume websites, but the positioning was invasive and intrusive. You couldn’t even login without hitting it accidentally. I must have been on that site 100 times by mistake. A nice little earner for the site but a big no no from google. The huge overlay has been taken off the NME page but it’s still obscured. From the top with their January Sale ad and from the bottom with the Outbrain overlay. This leaves less than half of the story that you are reading actually visible. Is there anything more irritating than that by the way? I am sick to death of seeing click bait ads with irrelevant photos of celebrities. Daniel Ratcliffe telling me how I’d be amazed how he lost all his money – when he hasn’t and isn’t included. Or Susan Boyle’s amazing weight loss, when she isn’t featured! I think that NME have a long way to go as do all of those silly quiz sites that litter Facebook. Word of advice, anyone sharing those time vampire pages? just unfollow them. Let them wile away the hours achieving absolutely nothing in life. The official Google guidelines are here and not all overlays will attract a penalty. Those that warn of cookie use, age verification or those that use a reasonable amount of space such as NME’s top overlay would be considered OK. Those that obscure content for no other reason will receive a penalty. The general guideline in all of this of course is that if you see something on a page that pees you off, it’s not good for search enhancement! User experience is the key! Refreshing news? or plainly invasive? what do you think?